Remember your special day with a lasting memory on video. We Specialize in Weddings, but any event can be forever remembered. At Jack Temple Video Production, we are flexible enough to handle your event no matter the size. We use multiple cameras and a professional editing suite to bring Hollywood magic to your recorded event. Whether your event is big or small, we have the equipment and the expertise it takes to produce a quality video. 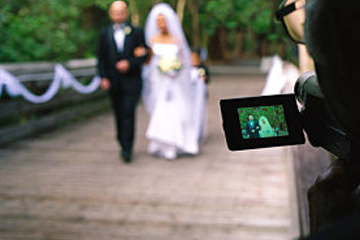 Our wedding videographers use several cameras to help ensure full coverage of all angles and scenes. Our team is experienced in filming interviews and commercials that require a professional film crew. We have filmed interviews with governors, presidential candidates, and local celebrities. Our commercials have been featured on local television and many on yellowpages.com.